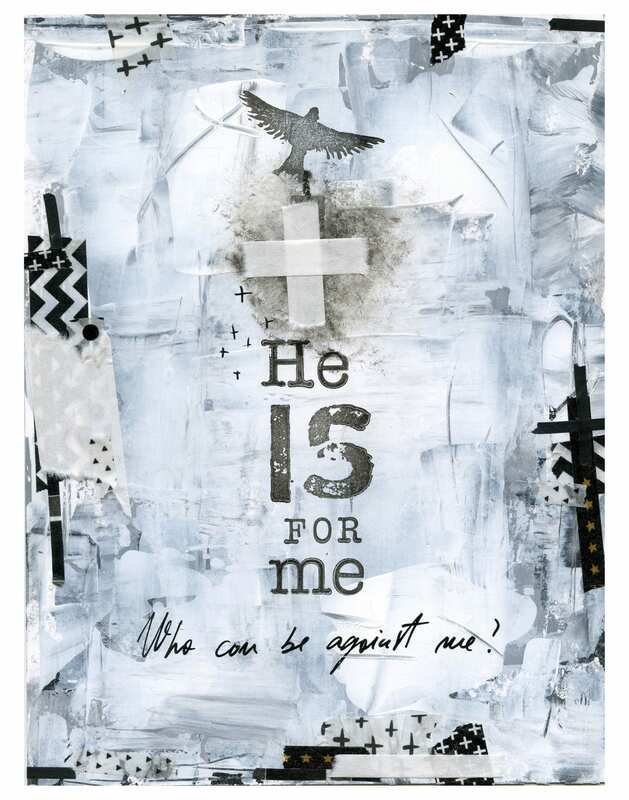 A mixed media inspirational artwork featuring the quote: 'He is for me', and below hand written 'Who can be against me?' printed on metallic Fuji paper in various sizes. 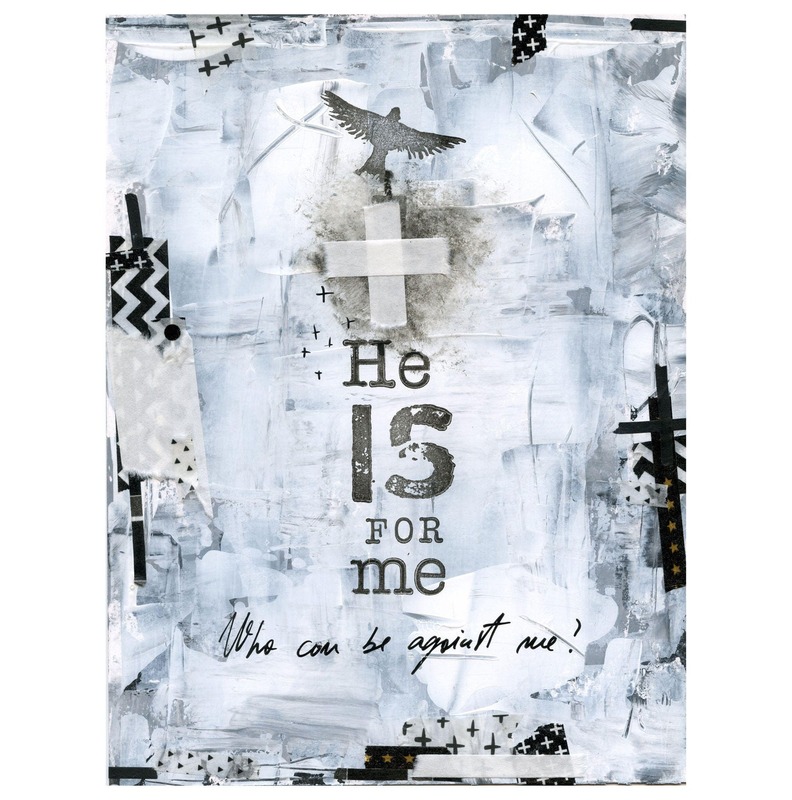 The words are inspired from Romans 8:31 Bible verse: " If God is for us, who can be against us?" The available sizes represent the paper size, the image size is slightly smaller, having a small white border.